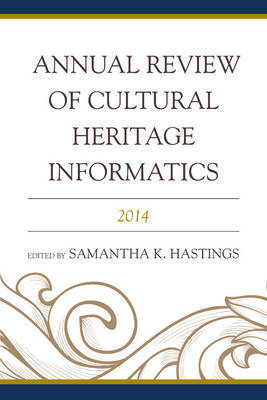 Produced by The University of South Carolina's School of Library and Information Science this is the authoritative annual compilation of research, best practices, and a review of literature in the fields of cultural heritage, imaging for museums and libraries, and digital humanities. The scope is international. The Annual will build on the commonality of interests between museums, archives and libraries, and scholarship in the arts and humanities. An editorial board will be comprised of four to seven scholars in the field to include but not limited to researchers and information professionals with previous work in the field of cultural heritage and informatics. Each issue will contain three major parts: * Original research articles * Literature reviews on the three main research areas in the field:, Social networking and cultural institutions, the value of culture, and open source resources * Overview of trends and technologies in the field The Annual Review is an essential overview and synthesis of this nascent and growing field.